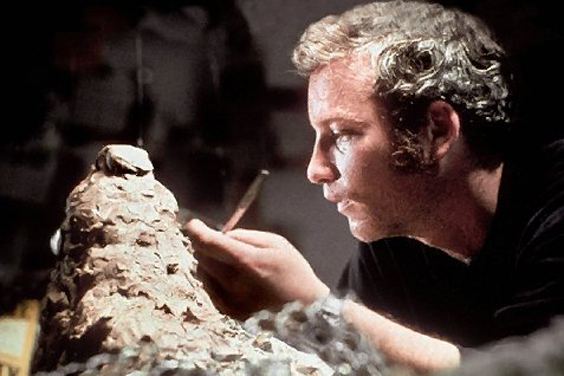 Looks like Hollywood can't resist a good desert or carved mountain. June 21, 2012, 7:05 p.m. Sweeping vistas! Crystalline lakes! Vast deserts! Snowcapped mountains! Giant, UFO-friendly monoliths! Whether they're masquerading as alien planets in sci-fi films or starring as heavily romanticized versions of themselves in thrillers and dramas, the units of the U.S. National Park Service — as of 2011, there were 397 of them — have long held an illustrious role in American cinema, providing awe-inspiring, super-dramatic backdrops that even the most advanced CGI technology and the most elaborate soundstages in the world simply can’t replicate. To complement our monthlong celebration of national parks, we've rounded up 10 of our favorite films entirely filmed within or including pivotal scenes shot at national parks, memorials, monuments and recreation areas (to be clear, some of these locations didn't receive official NPS designation at the time of filming). We’ve also included 13 honorable mentions — a "ranger's dozen," if you will — since listing 10 just doesn’t seem fair. Of course, we realize that with this list, we're just skimming the surface when it comes to film cameos made by America's vast network of national parks. Please, feel free to tell us about your favorite shot-in-a-national park film in the comments section. Has seeing a national park or monument depicted on film ever inspired you to visit it in person? The grizzled granite visages of presidents Washington, Lincoln, Jefferson and Roosevelt make a most unforgettable appearance during a climactic chase scene in Alfred Hitchcock’s dizzying 1959 thriller about a Madison Avenue advertising executive named Roger O. Thornhill (Cary Grant) who is pursued across the country by a gang of shady communist henchmen who mistakenly believe him to be a CIA agent. The Rushmore chase scene was so crucial to the plot that Hitchcock even toyed with the idea of calling an early version of the film “The Man in Lincoln’s Nose.” While shooting did indeed take place in and around South Dakota’s Mount Rushmore National Memorial, the harrowing chase scene itself, much to the chagrin of Hitchcock, ended up being filmed on a replica erected on a Hollywood soundstage. The filming of “North by Northwest” sparked a fair amount of drama between studio MGM, the Department of the Interior and the National Park Service over Hitchcock’s supposed "desecration" of the iconic monument, which, in the end, translated to box office gold. Ever wonder what distant planet astronaut George Taylor (Charlton Heston) crash-lands his spaceship on during the opening scenes of this sci-fi classic that imagines a world populated by militant, horseback-riding gorillas, comely chimpanzee scientists and draconian orangutans? A bulk of the original "Planet of the Apes" was filmed in and around Lake Powell, a massive manmade reservoir in Glen Canyon National Recreation Area. Spanning more than 1.2 million acres across two states (Utah and Arizona), Glen Canyon’s otherworldly, heavily deserted landscape proved to be an ideal setting for the alien (or not-so-alien?) planet depicted in "Planet of the Apes," although the interiors and exteriors of Ape City were filmed on a 20th Century Fox backlot at Malibu Creek State Park outside of Los Angeles. And the film’s twisty final scene? That was filmed on a secluded stretch of beach near Malibu. Although Death Valley National Park has been more prominently featured in other films — Michelangelo Antonioni’s "Zabriskie Point" being one of them — it was perhaps most famously depicted as a foreign planet "in a galaxy, far, far away" known as Tatooine in George Lucas’ first "Star Wars" film ("Star Wars: Episode IV — the New Hope" if you want to get technical about it) and, more briefly, in 1983's "Return of the Jedi" (pictured here). Although a sizable chunk of Tatooine shooting took place not in Death Valley but in the tiny North African nation of Tunisia, the mark that Luke Skywalker, C-3PO, Chewbacca and the gang left on the hottest, driest national park is undeniable. Case in point: this "Star Wars" in Death Valley self-guided tour. Don’t forget a good pair of shoes, an ample supply of water and your light saber, folks. While many films — “Due Date” being a good recent example — feature scenes that take place at Arizona’s Grand Canyon National Park but weren’t actually filmed there, we’re pleased to report that the raunchy granddaddy of American road trip comedies, “National Lampoon’s Vacation,” does include scenes that were filmed within the park. In the film, the Griswold family pays a visit the park en route to Wally World (Six Flags Magic Mountain) and make a quick stop at the El Tovar Hotel located on the south rim of the Grand Canyon where bumbling family patriarch Clark Griswold (Chevy Chase) has some difficulties — naturally — cashing a check. It isn’t until the Griswold clan leaves the confines of the park and approach Sedona that they discover Aunt Edna (Imogene Coca) has passed away in her sleep while riding in the back seat. While the third installment of Steven Spielberg’s "Indiana Jones" franchise boasts no shortage of far-flung shooting locations — Venice, Spain’s Tabernas Desert, and, most notably, the ancient Jordanian city of Petra — the adventure film's lengthy prologue featuring a young Indy (River Phoenix) also gives the National Park Service a little lovin’: Much of the it was filmed on location in and around the instantly recognizable Arches National Park in Moab, Utah. Somewhat more recently, the 76,000-acre park’s awe-inspiring natural beauty — including, of course, more than 200 natural sandstone arches such as the iconic, license plate-worthy Delicate Arch — was showcased in scenes of “Hulk,” Taiwanese art-house director Ang Lee’s pre-“Brokeback Mountain” foray into big-budget Hollywood action films. Although set on Idaho’s Salmon River, this family-whitewater-rafting-trip-gone-really-sour thriller was actually filmed on two rivers, the Flathead and the Kootenai, located in and around Montana’s massive — and massively beautiful — Glacier National Park. And get this: Meryl Streep did many of her own stunts. Since the Curtis Hanson-helmed movie co-starred Kevin Bacon as an armed antagonist, it’s only natural that we partake in a not-really-official, Glacier National Park-themed game of Six Degrees of Kevin Bacon: Opening shots of Stanley Kubrick’s “The Shining” were filmed in Glacier National Park. That film starred Jack Nicholson, one of Bacon’s co-stars in “A Few Good Men.” Five years earlier, Nicholson starred in “One Flew Over the Cuckoo’s Nest” alongside Brad Dourif, one of the stars of “Heaven’s Gate,” the notorious 1980 flop that was filmed in Glacier National Park. That film also starred Jeff Bridges, an actor who can be seen alongside Bacon in the upcoming police drama, “R.I.P.D,” and who starred alongside Charles Grodin in 1976’s remake of “King Kong.” Charles Grodin, of course, played George Newton in the “Beethoven’s 2nd” which featured scenes filmed at Glacier National Park. Got it? Much of this acclaimed, Sean Penn-directed biographical film was shot on location at Denali National Park and Preserve, the very spot where a young, Thoreau-inspired adventurer named Christopher McCandless (played by Emile Hirsch) attempted to live off the land in an abandoned bus parked along the remote Stampede Trail. While we obviously don’t recommend exploring the pristine natural wonders of Denali in the same, some would say reckless, nature that McCandless did — “When you consider McCandless from my perspective, you quickly see that what he did wasn’t even particularly daring, just stupid, tragic and inconsiderate,” wrote Alaskan park ranger Peter Christian — the stunning natural beauty captured in “Into the Wild” does make us want to ditch the trappings of modern life and head off the grid for just a spell — provided, of course, that there’s a quick escape route. Related on MNN: Explore America's Parks all summer with our series of user's guides. We've rounded up 10 of our favorite films entirely filmed within or including pivotal scenes shot at national parks, memorials, monuments and recreation areas.